When the Radeon HD 7970 launched at £450, it looked like a reasonable alternative to the GeForce GTX 590 and Radeon HD 6990. Both dual-GPU boards are measurably faster, but they’re also roughly £600, power-hungry, and in the case of the 6990, embarrassingly loud. Even still, the 7970's asking price is still pretty steep. And that’s why a card like the Radeon HD 7950 is such a welcome addition to AMD’s portfolio. The company is, as of this writing, unwilling to comment on the 7950’s anticipated price tag. However, we’ve already run the benchmarks. We know how it stacks up to the Radeon HD 7970 and GeForce GTX 580. So, we know what we’d pay for this new board. If our target is close, we’d be looking for something under £400/under $500 USD (the Radeon HD 7970 currently retails for $550 in the U.S.). Update: Before publication, but after our launch coverage was finalized for international translation, AMD let us know that the Radeon HD 7950 should sell for $450 in the U.S. That's well below where I thought the company would target, given its competition. Clearly, AMD is pricing the 7950 to out-value Nvidia's GeForce GTX 580 (or force its competitor to adjust downward) rather than exist in a price structure defined by the company's single-GPU flagship. Advantage: AMD. Sadly, no word on UK pricing just yet. As with the Radeon HD 7970, AMD employs a centrifugal fan mounted on one end of the Radeon HD 7950, which blows across the length of the card and exhausts heated air out the back of your chassis. This is the design we prefer. 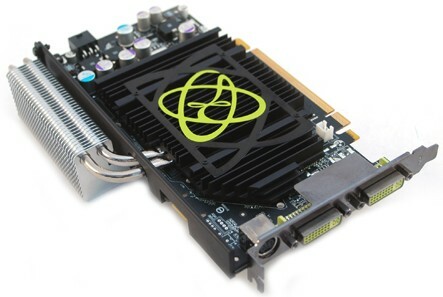 It wasn’t possible to cool the Radeon HD 6990 or GeForce GTX 590 the same way. In both examples, a centre-mounted fan exhausted some air from a rear I/O slot and everything else was recirculated. Radeon HD 7950 centres on the same 4.31 billion-transistor Tahiti GPU as AMD’s faster, more expensive flagship, manufactured on TSMC’s 28 nm node.